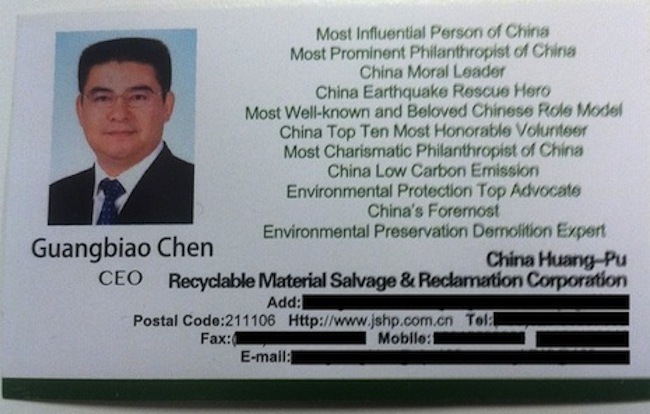 THE world’s most humble business card is that handed over by Chen Guangbiao, a minted Chinese businessman who would be owner of the The New York Times. How rich is he? A billionaire, they say. “Mr Flat Top 2014” thinks nothing of paying by the letter.